Pastor Joanne Landry's New Book "Faith Based Alcohol, Drug, Domestic Violence/Parenting Treatment Program" is a Comprehensive How-to Guide for Breaking Addiction. 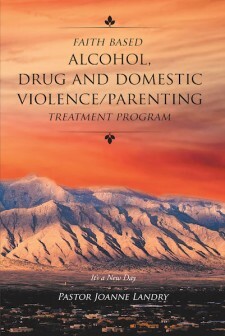 "Faith Based Alcohol, Drug, Domestic Violence/Parenting Treatment Program" from Pastor Joanne Landry is a step-by-step treatment plan directed at four different core audiences: faith-based groups or churches; individuals struggling with substance abuse; families looking to help struggling family members; and counselors in need of guidelines for creating/implementing their own treatment programs. 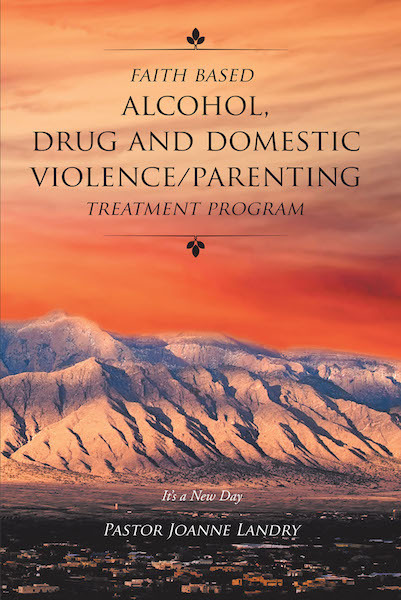 Albuqergue, NM, November 5, 2018	(Newswire.com) - Pastor Joanne Landry, a recovering polysubstance abuser and married mother of three who now ministers and runs diversion programs in Albuquerque, New Mexico, has completed her new book “Faith Based Alcohol, Drug, Domestic Violence/Parenting Treatment Program”: a helpful assessment tool and treatment plan. Published by Covenant Books of Murrells Inlet, South Carolina, Pastor Joanne Landry’s new book is a practical and complete toolkit for anyone looking to help themselves or others through a solid scientific technique. The program includes a liability form, client contact agreement, orientation overview, screening and assessment tools, and three activity sections for substance abuse, domestic violence and anger management, and parenting. Readers can purchase “Faith Based Alcohol, Drug, Domestic Violence/Parenting Treatment Program” at bookstores everywhere, or online at the Apple iTunes store, Amazon, or Barnes and Noble. Recent release 'Self-Empower Your Motivational Skills to Achieve Your Goals and Dreams by Using Motivational Power Phrases BJ Has Written' from Covenant Books author Billy Joe 'BJ' Cate is a powerful guide to unlocking the heights of personal potential using catchy rhyming power phrases. Recent release 'I Wish I Didn't' from Covenant Books author Doris McNair is a masterful tale about a little boy's learnings in life after a willful desire for independence led him to the wrong path. Recent release "Seasons: A Time to Weep and a Time to Laugh" from Covenant Books author Elizabeth Meyerson is an evoking account of two people whose loss paved a way for compassion and boldness.